Mon., June 25, 2018, 4:18 p.m. 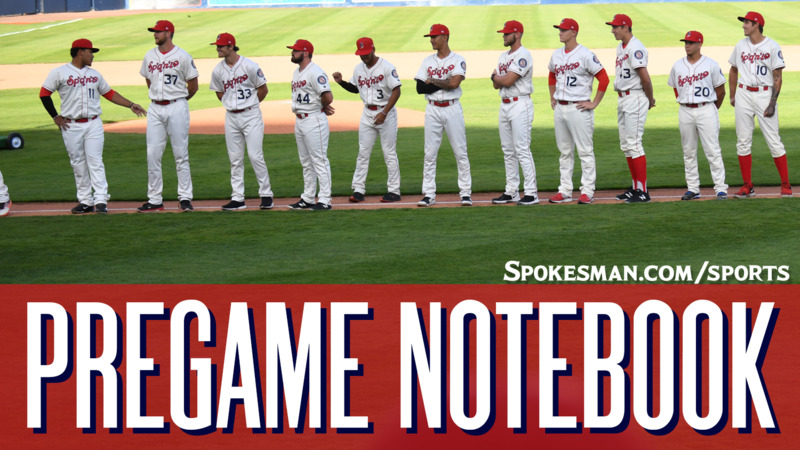 The Spokane Indians (3-7) take on the Vancouver Canadians (3-7) in the finale of a three-game Northwest League series at Avista Stadium at 6:30 p.m. The Indians send RHP Ryan Dease (1-0, 3.60) out against LHP Elio Silva (1-0, 0.00). Dease, a 2017 fourth round pick of the Texas Rangers, is coming off back-to-back wins, one in AA-Hickory on June 12 and last Tuesday for the Indians. In his most recent outing, the Florida native surrendered two runs in five innings, striking out three. Canadians starter Elio Silva’s first start was arguably the most dominant in the NWL so far this season. The lefty Venezuelan, a 2015 non-drafted free agent, allowed one hit in five shutout innings on Monday against Eugene. He also threw a shutout inning of reief on June 15. Lineup: LF Miguel Aparicio, 2B Tyler Depreta-Johnson, CF Starling Joseph, SS Diosbel Arias, DH Curtis Terry, 1B Kevin Mendoza, 3B Juan Ventura, C Isaias Quiroz, LF Obie Ricumstrict. Last night: Hasuan Viera went 3 for 4 with a key two-run double and the Indians (3-7) beat the visiting Canadians (3-7). Seth Nordlin (1-0) struck out eight over 5.2 innings and allowed three runs on six hits and one walk. David Lebron and Emmanuel Clase provided 3.1 shutout innings of relief. Player focus: OF Starling Joseph has a hit and scored at least one run in each of his last three games. The 19-year-old is third on the team in average (.286), hits (8) and runs (5). Promotion: Smokey Bear Night! Wildland fire agencies will be on hand to provide fire prevention education. Kids run the bases after the game. Weather: Game time – Sunny and breezy, 76. Final out – Clear, 63. Published: June 25, 2018, 4:18 p.m.